My final project (with Yu Ji) is an interactive system that allows a primary user to amplify both their breath and image. The primary user will blow into a sensor controlling one or several fans, and the speed of the fan(s) will mimic the strength of the user’s breath. 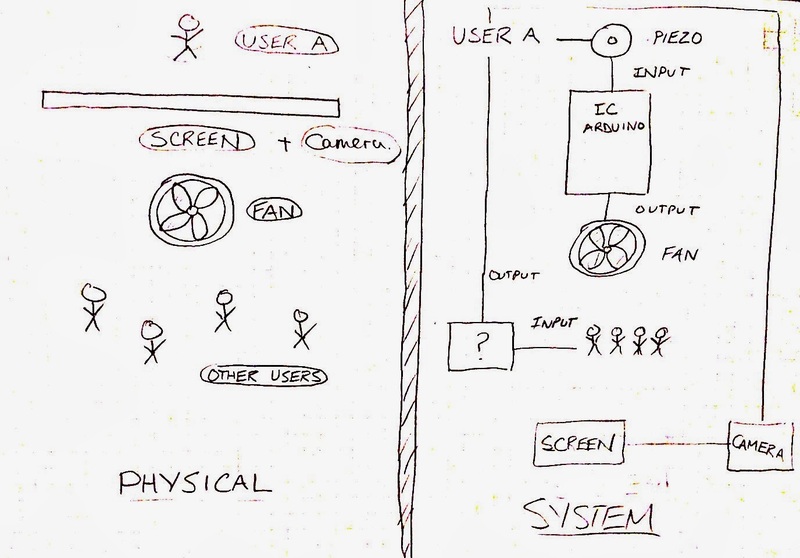 The primary user’s face will also be projected onto to a screen behind the fan, making the interaction more personal. 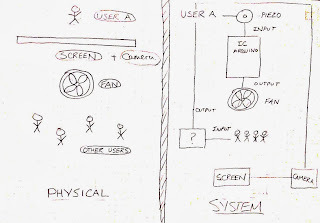 The other users (people in front of the screen/fan) will work together with the primary user to make musical tones by putting objects directly in the stream of air created by the fan. The exact interaction and physicality has not yet been decided.